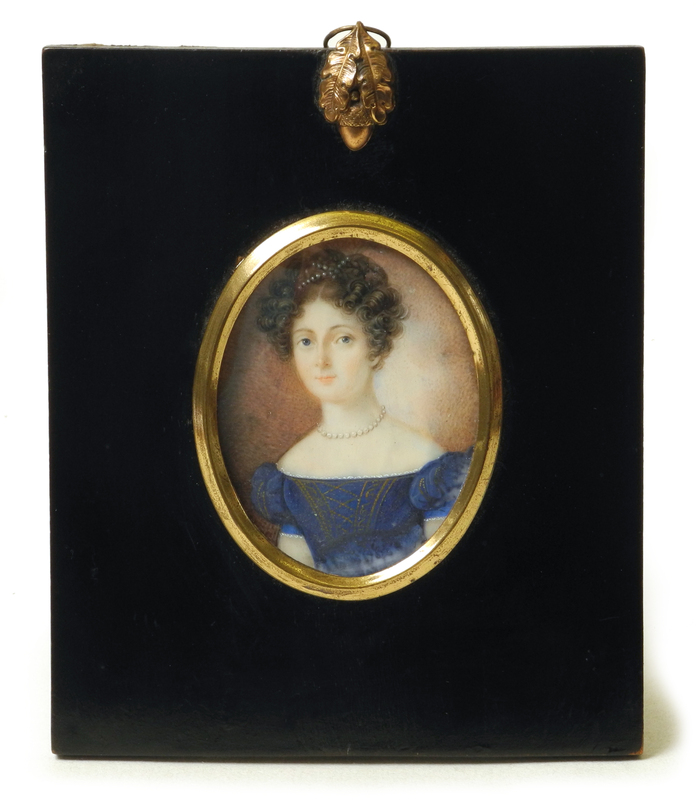 A truly charming early 19th century portrait miniature. A finely detailed study of very pretty young lady. Housed in the original papier mache frame with gilt metal mounts.